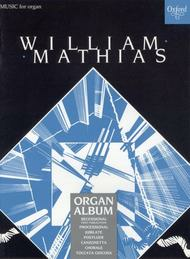 Composed by William Mathias. Pieces & Studies. 32 pages. Oxford University Press #9780193755505. Published by Oxford University Press (OU.9780193755505). ISBN 9780193755505. 12 x 9 inches. 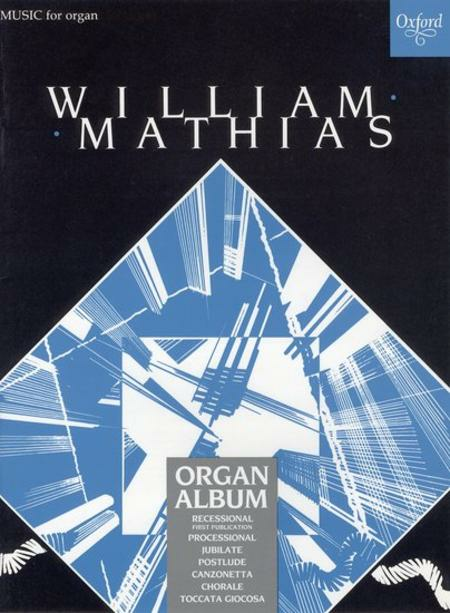 Mathias writes some wonderful, contemporary music for the organ. This music does requre a good organ as well as the performer possessing solid organ technique. That being said, all these pieces are worth the effort, though not all are suitable for the normal Sunday service.